Mary Rice Holcombe was born on 11 September 1828 at Cattaraugus, Cattaraugus Co., NY. She was the daughter of Sylvanus Holcombe and Julia B. Joslyn. Mary Rice Holcombe married Oliver Pomeroy White, son of Edward Farrington White and Mary White, on 22 October 1851 at Sycamore, DeKalb Co., IL. Mary Rice Holcombe married Kendall Jackman, son of Abner Jackman and Mary L. Kendall, on 20 October 1869 at Sycamore, DeKalb Co., IL. Mary Rice Holcombe died on 3 August 1907 at Genoa, DeKalb Co., IL, at age 78. She was buried on 6 August 1907 at Elmwood Cemetery, Sycamore, DeKalb Co., IL. Additional information on Mary Rice Holcombe and her family is from Phil Holm, pholm548@msn.com; 41 Jefferson Drive, Northfield, MN 55057, in correspondence with Dorothy Fiesler, of 6120 2nd Ave N., St. Petersburg, FL 33710. Albert Augustus Holcombe was Presbyterian. He was born on 2 January 1829 at Darien, Genesse Co., NY. He was the son of Sylvanus Holcombe and Julia B. Joslyn. Albert Augustus Holcombe married Jane Ann Goodsil on 8 January 1857 at Chicago, Cook Co., IL. Albert Augustus Holcombe married Christina Ziegel, daughter of Henry Ziegel, in 1890. Albert Augustus Holcombe died on 3 December 1909 at Nampa, Canyon Co., Idaho, at age 80. He was buried at Kohlerlawn Cemetery, Nampa, Canyon Co., Idaho. The trails A. A. Holcombe trod in Siskiyou county 99 years ago in search of gold today are being trode by his son, following in his father's footsteps to visit the scenes mentioned in the elder Holcombe's diary. A. S. Holcombe, 79, Mill Valley, Calif., came through Yreka recently searching out places like Humbug, McCay, Diggings, McAdams Creek, Black Gulch, Chimney Gulch, Fall River, Hawkinsville and Outhouse Creek. They are names familiar to him, familiar because of the extensive diary his father kept during the wanderings in Siskiyou from 1850 to 1856. There is no doubt it is an authentic diary, because some of Holcombe's early-day acquaintances were the parents and grandparents of present-day residents of Siskiyou. Several Yrekans accompanied the younger Holcombe in seeking out his father's mining claim on Humbug Creek, changed by dredger and time. All were eager to help the visitor in his quest. The claim was listed in the diary as "Holcombe Place Claim," but it doesn't say how long he operated the claim, but from indications in the journal of daily happenings it is apparent he worked it off and on until he returned east in 1856. On Aug. 1, 1850, Holcobme noted in his journal he was taking $10 out of each pan, which points out the terrific wealth taken from the Humbug grounds by all the miners. The book contains a reference to the formation of a vigilante committee in July, 1856, and on the same day-July 6-they ran out 20 prostitutes. Justice was just as short for murderers in 1856. "Saw Sam Crowder executed for killing Jim Blunt," the diary reads, and adds, "3,000 people turned out for the execution." Fifteen days later Holcombe left Yreka and did not return. The younger Holcombe failed to bring an earlier diary to Yreka with him. The diary he did bring dealt mainly with 1856, the last year his father was in Siskiyou County and Yreka. The prior journal tells of the years before 1856. A.S. Holcomb recalls some of the entries as reading his father "and company" built a water ditch at Humbug in 1850 and in another instance said, "attended meeting at Van Wyck's saloon and raised money to finish big ditch." There are numerous references to antelope and deer hunting trips to Table Rock, which the younger Holcombe believes refers to the section now known as the Hart Ranch in Little Shasta. At one period the father went to Albany, Ore., where he taught school and settled on a piece of land. The cabin he built and lived in has been preserved by Oregon as a monument to the early-day pioneers. Holcombe traded off his house eventually for 40 acres of land adjacent to a little town called Portland. But this he finally sold and returned to Yreka. The property is now is a fair sized slice of the big city of Portland. The pioneer gold-seeker mentions such names as Jacob B. Fairchild, Clark Ainsworth, George Sommers, Dr. W. C. Seaver, Mary Elder, Dave Young, Merritt Sherman, Billy Wood, Orin Root, Charlie Lovell, Rev. Mr. Stratton, Mr. Orr, Alex Abbott, James Davis and John Gallager. The elder Holcomb apparently moved into Yreka in 1855, because there is a reference concerning the sale of his blacksmith shop to a Mr. Brooks on Jan. 18, 1856. On April 17, 1856, there is the noting of the "announcement has come that England has declared war against our government," and on Nov. 4, just before he left Yreka, he wrote that Fremont has been elected president. On Nov. 15, 1856, at 8 a.m. he left by stage for Callahan. Stayed overnight after 40 miles but got no sleep. Such a spree as they had. From there he went to Robinson's, Old Shasta and Sacramento. At Sacramento he boarded a river steamer for San Francisco and went around the horn to New York. At New York Holcombe went by rail to Chicago, where he married Jan Ann Goodsell of French Canadian descent. For the second time Holcombe crossed the plains, this time in 1858 with his bride of only a short time. The over-country trek ended at Susanville, where Holcombe built the first hotel. It was at Susanville where the Holcombes were blessed with two daughters and a son. A short time later, the family sold out the hotel and moved to Old Shasta where another daughter was born. Finally, Holcombe moved to Modoc Valley, now known as Surprise Valley, and set up a trading post at a point about half way between Reno and Surprise Valley. When Indians struck in 1860 and burned out the trading post, Holcombe moved again. He bought land at Lake City in Modoc County and there A. S. Holcombe was born in 1870. He was the youngest of all their children. The elder Holcombe served in many companies of volunteers and fought in various Indian wars. In 1882 he went up to Ketchum Woodriver, Idaho, on a mining trip and liked Idaho so much that in 1883 he moved his family to Caldwell. Catchum Woodriver now is known as Sun Valley, Ida., famed resort. At Caldwell, Holcombe built the first house and worked on the Oregon Short Line, a railroad operating between Portland and Omaha. The father died at Caldwell at the age of 82. The son who is following in his father's footsteps has been kept busy during his lifetime in various enterprises and mining. He now is retired and maintains a home in San Francisco as well as in Mill Valley. A.A. Holcombe, for many years a resident of Nampa, was instantly killed in a runaway accident on Fourteenth avenue Friday afternoon at 5 o'clock. Deceased was 80 years and 11 months old. Mr. Holcomb and his son, Albert S. Holcomb, were driving to their home in the south part of the city when the horse became frightened at a boy running along the sidewalk and became unmanageable. Albert Holcomb in an effort to gain control of the frightened animal jumped from the buggy to the ground with the lines in his hands, but was jerked from his feet and dragged over 40 rods in the rough road before he became exhausted and was compelled to let go of the lines. The horse continued to run and turning a corner crossed the street diagonally and started across the sidewalk. The buggy struck a tree and the impact of the sudden stop threw its aged occupant to the ground with great force, he lighting on his head and shoulders in a clump of weeds. Allen Orr, who was driving a delivery wagon for the Nampa Hardware store, made an attempt to catch the lines of the rig as it passed him but was unsuccessful. He was within ten feet of the rig when Mr. Holcomb was thrown out and was the first to reach the injured man. Mr. Holcomb never uttered a word or groan and expired after a few gasps when he had been carried to the home of W. M. Shepherd. Dr. Murray was called, but arrived after the death of the injured man. The physician pronounced death due to concussion of the brain. The late A. A. Holcomb was born at Darien, Genesse county, New York on the second day of January, 1829. When he was a boy he went to Iowa with his parents. In 1850 he crossed the plains to San Francisco. In 1883 he came to this state and resided for a good many years at Caldwell. About nine years ago he came to live in Nampa and united with the First Presbyterian church in 1903. He leaves a wife, two sons and three daughters. One daughter, Mrs. Wilkinson is also a resident of Nampa and the other daughters are in California. The funeral was from the Presbyterian church, the services being conducted by Rev. Mr. Colvin. A very large number of people turned out, the church being filled to overflowing. Mr. Holcomb lived a simple, beautiful life, was a good husband, father, and citizen; he was faithful to his religious profession and a regular attendant on the services of the church. Though of advanced age he was vigorous and active and on the Sabbath before his death he was at church, walking all the way. Mr. Holcomb was one of the oldest of the pioneers of this section. Had he lived until January 2, 1910, he would have been 81 years of age. Though having arrived at that extreme age he was well and hearty. He was unusually strong and one seldom sees a more robust man of that age. All who knew him would declare him to have been bood for 20 years more. The sad accident came as a shock to the entire community, many of the older resident people of the city having known Mr. Holcomb almost since the town was started. Of the pioneers, few have had experiences wider in range, and few have seen more of the wild and wooly wes than he. His career has been 'westward ho' since he was old enought to recognize the all of the West. In early manhood he went from New York state to Illinois, learning much of the early history of the middle west as well as of the far west. When the gold strike of California was alluring people to the far west he was among the first to go and he arrived at San Francisco in 1850. He mined throughout the State for a number o fyears and made a trip back across the plains for the girl of boyhood days and with her he made the second trip to California. To them six children were born, five of whom are now living. Mrs. Clara Wilkinson, of Nampa, is the oldest daughter. Two daughters, Mrms. Ida Rinn and Mrs. Mary Marswick are in San Jose, California. Fred G. Holcomb, the oldest son, resides in Butte, Mont., and the youngest son, Albert S., is in Nampa and was with the father with the accident occurred. The family lived for nearly 20 years in Surprise valley, California, where Mr. Holcomb is well known to all the told timers. They moved to Caldwell in 1883 and to Nampa about 10 years ago. His first wife and the mother of the six children died at Fort Bidwell, California. The second wife, now aged 77, is here and the sad accident is almost more than she can bear. The deceased has been a member of the Presbyterian Church for a good many years. The funeral was conducted Sunday from the Presbyterian church at 3 p.m. Rev. Mackay officiating. Interment took place at Kohlerlawn. Mr. Holcomb had written an interesting history of his live and of hte pioneer days of the West. He had taken a great deal of time in preparing it, but it was not quite finished. We have been promised the story and it will later appear in the Record. Christina was enumerated in the 1910 South Nampa, Canyon Co., ID, federal census. In the household was daughter Lena Setzer and two grandchildren, apparently family from her first marriage. Also enumerated was widowed daughter Clara Wilkinson, age 51 and her daughter Mabel. [S218] Albert Augustus Holcombe, Memoirs unknown repository. [S219] Mary Holcomb Worswick, Memoirs unknown repository. Milo Seth Holcombe was born on 10 February 1832 at Darien, Genesee Co., NY. He was the son of Sylvanus Holcombe and Julia B. Joslyn. Milo Seth Holcombe married Caroline Marie White, daughter of Edward Farrington White and Mary White, on 1 November 1855 at Sycamore, DeKalb Co., IL. Milo Seth Holcombe died on 25 October 1904 at Woodward, Dallas Co., IA, at age 72. He was buried at Woodward Cemetery, Woodward, Dallas Co., IA. Milo Seth Holcomb is recorded in the 1850 census of Sycamore as 19 years old and a member of his parents' home. When a young man, he helped drive teams of horses hauling heavy loads of grain and livestock to market in Chicago, and he told of the many times the heavy loads became mired down and stuck on some of the streets in main Chicago. During the winter he worked in the lumber camps in Wisconsin getting large quantities of logs ready to make into rafts to float down the river when the ice went out. Sometimes he would make the trip downstream and into the Mississippi river to the riber Towns where the big saw mills were. Muscatine, Iowa is one of the towns the rafts were delivered to. To pass the time, Milo and others on the raft did a lot of swimming and on many occasions would let the raft get nearly out of sight down the river and then swim and catch up with it. When they tied the raft at the shore for the night, lines were baited and set in the river to catch fish for the next day's meal. he liked to tell abaout the time he was unable to find any bait on shore, and was able to catch a mouse on the raft and using that for bait he caught a very large catfish for the next day's dinner. Milo and Caroline were enumerated in the 1860 Sycamore, DeKalb Co., IL, federal census. He was a farmer, age 28, she was 24. The only child in the household was Mary E 2. Milo and Caroline were enumerted in the 1870 Genoa, DeKalb Co., IL, federal census. There were 4 children in the household, very indistinct, possibly Carrie, Hattie 10, Charles 4, and Arabell 2. M. S. and Caroline M. were enumerated in the 1880 Cass, Boone Co., IA, federal census. He was a farmer, age 48, she was 44. Children in the household were Carry 19, Charles W. 14, Belle 12, Blanche 8, and Frank S. 6. By 1880 Milo and family were in Xenia, IA, where young Ara Belle kept a diary. Milo S. and Caroline were enumerated in the 1900 Woodward, Des Moines, Dallas Co., IA, federal census. He was a gardner, age 68, she was 63. The only child in the household was Carrie, 39. Also in the household was sister Cordelia, 65. Cordelia Martha Holcombe was born on 6 July 1833 at New York. She was the daughter of Sylvanus Holcombe and Julia B. Joslyn. Cordelia Martha Holcombe died on 6 August 1907 at Sycamore, DeKalb Co., IL, at age 74. She was buried on 8 August 1907 at Elmwood Cemetery, Sycamore, DeKalb Co., IL. Laura Jane Holcombe was born in 1835 at New York. She was the daughter of Sylvanus Holcombe and Julia B. Joslyn. Laura Jane Holcombe died on 4 June 1895 at Sycamore, DeKalb Co., IL. Oscar (Osian) Holcombe was born in 1837 at New York. He was the son of Sylvanus Holcombe and Julia B. Joslyn. Oscar (Osian) Holcombe died on 24 August 1878 at Woodward, Dallas Co., IA. He was buried at Xenia Cemetery, Woodward, Dallas Co., IA. Flora A. Holcombe was born in 1845 at Sycamore, DeKalb Co., IL. She was the daughter of Sylvanus Holcombe and Julia B. Joslyn. The 1870 census record would indicate that Flora's husband's name was Calkins. Caroline Marie White was born on 1 August 1836 at Sycamore, DeKalb Co., IL. She was the daughter of Edward Farrington White and Mary White. Caroline Marie White married Milo Seth Holcombe, son of Sylvanus Holcombe and Julia B. Joslyn, on 1 November 1855 at Sycamore, DeKalb Co., IL. Caroline Marie White died on 1 August 1913 at Madrid, Boone Co., IA, at age 77. She was buried on 2 August 1913 at Woodward Cemetery, Woodward, Dallas Co., IA. Mary Emelie Holcombe was born circa 1858 at IL.1 She was the daughter of Milo Seth Holcombe and Caroline Marie White. Hattie A. Holcombe was born in May 1859 at Sycamore Township, IL. She was the daughter of Milo Seth Holcombe and Caroline Marie White. Carrie Louise Holcombe was born in December 1860 at Sycamore Township, IL.1,2 She was the daughter of Milo Seth Holcombe and Caroline Marie White. Carrie Louise Holcombe died in November 1952 at Sycamore, DeKalb Co., IL, at age 91. Anna Mabel Holcombe was born in May 1859 at Sycamore Township, IL. She was the daughter of Milo Seth Holcombe and Caroline Marie White. Anna Mabel Holcombe died on 27 July 1866 at Sycamore Township, IL, at age 7. Charles Wesley Holcombe was born on 5 July 1865 at Sycamore Township, IL. He was the son of Milo Seth Holcombe and Caroline Marie White. Charles Wesley Holcombe married Mary Louise Stuber circa 1891.1 Charles Wesley Holcombe died in 1952. He was buried at Woodward Cemetery, Woodward, Dallas Co., IA. Charles and Mary were enumerated in the 1900 Des Moines, Dallas Co., IA, federal census. He was a farmer, age 34, she was 30. Children in the household were Everette 6, and John 3. Ara Belle Holcombe was born in September 1867 at Sycamore Township, IL.1,2 She was the daughter of Milo Seth Holcombe and Caroline Marie White. Ara Belle Holcombe married Wilbur H. Keigley in 1890. Daniel J. and Blanche J. were enumerated in the 1910 Des Moines, Dallas Co., IA, federal census. He was a clerk in a hardware store, age 38, she was 38. Children in the household were Dee 9, and Earle 5. Blanche had had another child that apparently died young. Also in the household was mother-in-law Caroline M. Holcomb, age 73, widowed. Frank Sylvanus Holcombe was born on 29 August 1873 at Iowa. He was the son of Milo Seth Holcombe and Caroline Marie White. Frank Sylvanus Holcombe married Carrie Luella Harris circa 1897.1 Frank Sylvanus Holcombe died on 8 September 1937 at age 64. He was buried at Woodward Cemetery, Woodward, Dallas Co., IA. Frank and Carrie L. were enumerated in the 1910 Marshall, Pocahontas Co., IA, federal census. He was a farmer age 36, she was 37. Children in the household were Fern L. 7, russel H. 3, and Mildren H. 7 months. Carrie had 4 children, 3 living. Frank and Kary Luella were enumerated in the 1920 Booth, Palo Alto Co., Iowa, federal census. He was a farmer, age 46, she was 45. Children in the household were Fern 17, Russell 13, and Mildred 10. Frank S. and Carrie L. were eumerated in the 1930 Booth, Palo Alto Co., IA, federal census. He was a farmer age 56, she was 56. The only child in the household was Russel H. 23. [S451] Robert Piercy Dow, Dow. Mary Glidden Renwick married Arthur Hiram Holcombe, son of Hiram Holcombe and Clara Benton Dow, on 19 July 1952. Gertrude Etta Helson was born on 1 September 1873 at Sycamore Township, IL. She was the daughter of George J. Helson and Cornelia Wyman. Gertrude Etta Helson married Howard Henry Holcombe, son of Orator F. Holcombe and Harriet E. Stowe, on 29 August 1893 at Sycamore, DeKalb Co., IL.1 Gertrude Etta Helson died on 1 April 1957 at Sycamore, DeKalb Co., IL, at age 83. She was buried on 3 April 1957 at Elmwood Cemetery, Sycamore, DeKalb Co., IL. Last name also "Warberg." Roscoe Zina Warber was born on 4 March 1899 at Cortland Twp, DeKalb Co., IL. He was the son of August Warber and katherine Dorothea Schwartz. Roscoe Zina Warber married Marie Cornelia Holcombe, daughter of Howard Henry Holcombe and Gertrude Etta Helson, on 29 March 1922 at Batavia, Kane Co., IL.1 Roscoe Zina Warber died on 10 January 1969 at Mesa, Maricopa Co., AZ, at age 69. He was buried at Mt. View Cemetery Garden, Mesa, Maricopa Co., AZ. Myrtle H. Holcombe was born on 4 December 1906 at Sycamore Township, IL. She was the daughter of Howard Henry Holcombe and Gertrude Etta Helson. Myrtle H. Holcombe married Stanley Knudsen, son of Knud Peder Knudsen and Katherine Nielsen, on 1 August 1956 at St. Charles, Kane Co., IL. Myrtle H. Holcombe died on 10 November 1993 at Sycamore, DeKalb Co., IL, at age 86. [S182] Social Security Death Index (on-line), Ancestry.com, SSDI, Ancestry.com, SSAN 342-03-2812. Donald Ray Warber was born on 31 December 1924 at Sycamore, DeKalb Co., IL. He was the son of Roscoe Zina Warber and Marie Cornelia Holcombe.1 Donald Ray Warber died on 12 September 1944 at World War II; Battle of Bulge, Belgium, at age 19. Kenneth Howard Snelgrove was born on 16 September 1906. He was the son of Norman D. Snelgrove and Myrtle Amelia Holcombe. Kenneth Howard Snelgrove married Edith Almyra Woodard. Kenneth Howard Snelgrove died on 21 December 1941 at age 35. J. Kieth Snelgrove was born on 23 March 1909. He was the son of Norman D. Snelgrove and Myrtle Amelia Holcombe. J. Kieth Snelgrove died on 5 May 1969 at age 60. Christina Ziegel was born in 1837 at Albany, NY. She was the daughter of Henry Ziegel. Christina Ziegel married Albert Augustus Holcombe, son of Sylvanus Holcombe and Julia B. Joslyn, in 1890. 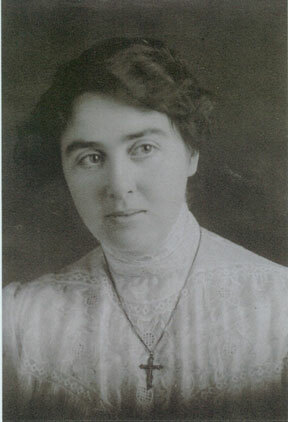 Christina Ziegel died on 17 February 1913 at Salmon, Idaho. She was buried at Kohlerlawn Cemetery, Nampa, Canyon Co., Idaho. 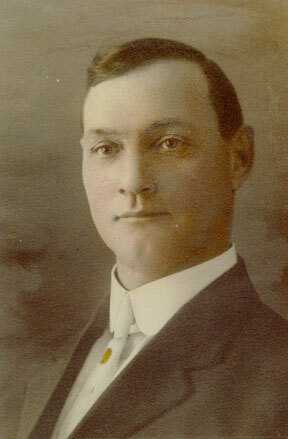 Albert Sylvanus Holcombe was born on 7 March 1870 at Lake City, Modoc Co., CA. He was the son of Albert Augustus Holcombe and Jane Ann Goodsil. Albert Sylvanus Holcombe married Elinor Rumiser on 2 July 1897. Albert Sylvanus Holcombe married Nellie Ervin in 1913. Albert Sylvanus Holcombe died on 24 February 1965 at Santa Rosa, Sonoma Co., CA, at age 94. Albert was enumerated in the 1910 Idaho City, Boise Co. MT, federal census. He was listed as head of household, living alone. Elinor Rumiser was born on 26 September 1879. She married Albert Sylvanus Holcombe, son of Albert Augustus Holcombe and Jane Ann Goodsil, on 2 July 1897. Elinor Rumiser died on 21 June 1909 at age 29. Nellie Ervin married Albert Sylvanus Holcombe, son of Albert Augustus Holcombe and Jane Ann Goodsil, in 1913. Nellie Ervin died in 1953.